Brooklyn, NY and Tel Aviv, Israel, 17 July 2018 – Mini-Circuits is pleased to announce a new partnership with 3D imaging sensor company Vayyar Imaging to offer microwave transceiver project kits with broad applicability for students and university programs spanning topics in electromagnetic theory, RF/microwave engineering, RF systems, and radar technology. The first project kit, UVNA-63 includes all the elements students need to build a fully functioning vector network analyzer, develop S-Parameter algorithms, and perform real-time measurements of 2-port RF devices. The kit comprises Vayyar's high-performance transceiver chip with a variety of RF components from Mini-Circuits along with control software, and a development environment for Python and MATLAB®. The project addresses a gap in most RF curricula between classroom theory and the sophisticated equipment engineers use in the lab to perform complex measurements with the push of a button. Mini-Circuits President, Ted Heil commented, "Mini-Circuits has always been committed to supporting the academic community in cultivating the next generation of RF engineering talent. We believe this powerful, hands-on learning tool will help bridge the gap between textbook S-Parameter theory and practical measurements in the lab, serving to better educate engineers on the challenges and wonders of the RF world." CEO of Vayyar, Raviv Melamed commented, “Following in the tradition of Mini-Circuits founder Harvey Kaylie, Vayyar is proud to be helping make RF accessible to all. The VNA Kit unlocks the ability to learn by doing, as students engage with the fundamentals of RF." UVNA-63 vector network analyzer project kits are available now for pre-order and will be delivered in September, toward the onset of the new semester. Pre-orders may be placed on the Mini-Circuits website, or by contacting our team directly. Learn more and pre-order now. Vayyar Imaging is the global leader for imaging and sensing with its cutting edge 3D imaging sensor technology. Vayyar's exclusive sensors quickly and easily look into objects or any defined volume and detect even the slightest anomalies and movements to bring highly sophisticated imaging capabilities to many industries. Utilizing a state-of-the-art embedded chip and advanced imaging algorithms, Vayyar's mission is to help people worldwide improve their health, safety and quality of life using mobile, low-cost, and safe 3D imaging sensors. Visit www.vayyar.com to learn more. Mini-Circuits is a global leader in the design, manufacture, and distribution of RF, IF, and microwave components and integrated modules covering the DC to 65 GHz band. 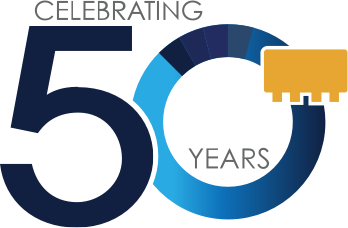 With over 25 different product lines and over 10,000 active models, demanding quality standards, value pricing, on-time delivery, and top-notch customer service have helped make Mini-Circuits the world's preferred supplier of RF and microwave products for over 50 years.